Tucked away in a small dusty town in southern Israel, lives David Louis - a modern renaissance man if ever there was one. He makes his living and supports his family of eight as a Torah scribe, writing ancient holy script upon parchment. Having spent several years in a yeshiva, he has developed into an expert and avid expounder of Kaballa - the esoteric lore of Jewish mysticism. He gives classes on the subject in his home town of Kiryat Gat as well as in Jerusalem. David is also a prolific painter, with several exhibitions of his works have been staged throughout Israel. And last but not least, he is an outstanding trumpet player, arranger and composer. In a previous incarnation he studied composition, musicology and conduction at Northwestern University near Chicago. He appeared on CBS television in San Francisco, conducting his symphonic poem East and West and he has conducted his arrangements of Hasidic melodies with the San Francisco Symphony Brass and with the Metropolitan Opera Orchestra in New York. His "Jerusalem Symphony" has recently been recorded and played on the local airwaves, and has also contributed several new and exciting compositions to the brass music repertoire. Israel Edelson was born in St. Petersburg. In 1966, at the age of fifteen, he left the USSR and settled with his family in Israel. A former disciple and assistant to the late Leonard Bernstein, and a winner of the prestigious Rupert - BBC International Competition for Young Conductors, Israel lives in Jerusalem and conducts all the major Israeli orchestras, including the Israel Philharmonic Orchestra, Jerusalem Symphony Orchestra. Haifa Symphony Orchestra, Israel Chamber Orchestra and the Israel Sinfonietta. As well as his active career in conducting, Israel is also a prolific and much sought after arranger, having made a mark in the realm of Jewish music. He has covered the whole spectrum, from arranging and recording popular albums of Jewish music, to being one of the few classical musicians who have written orchestral and chamber works based on authentic Hasidic melodies. 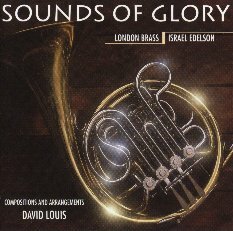 Order NOW your copy of Sounds of Glory from this site for $22.00 including shipping worldwide. You can listen to exerpts from Sounds of Glory with Real Audio. 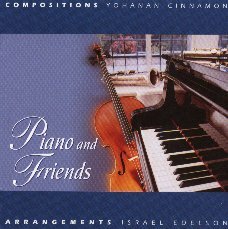 This is an interesting combination between a man gifted with a very fine sense of melody, Yohanan Cinnamon, and three highly professional and imaginative arrangers, David Louis, Yonathan Goodman and Israel Edelson, who together have succeeded in creating an enjoyable, yet at the same time uplifting musical canvas. 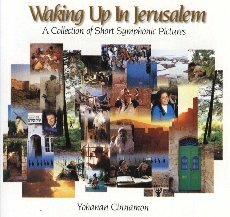 Order NOW your copy of Waking Up In Jerusalem from this site for $22.00 including shipping worldwide. You can listen to exerpts from Waking Up In Jerusalem with Real Audio. This record was conceived and produced in Jerusalem and it is fitting that it should have been this way. Living here amongst all this drama, with ancient prophecies ringing in our ears and the latest headlines declaring history in the making, there is a need now and then to just relax - to enjoy the simple pleasures, the gentle touch, something quiet and pure, a piano and some friends. Order NOW your copy of Piano and Friends from this site for $22.00 including shipping worldwide. You can listen to exerpts from Piano and Friends with Real Audio.